What is a beach flag? Nowadays, beach flags can be seen everywhere in the streetscape. But what exactly is a beach flag? 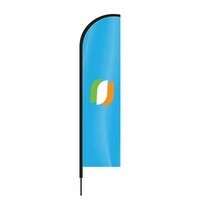 A beach flag is a promotional accessory used to promote your products or services. 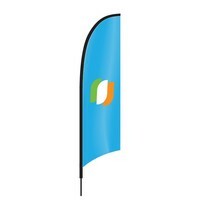 A beach flag has many benefits in comparison to other, similar promotional articles. A beach flag is interesting cost-wise and multi-deployable. For example, you are at an exhibition or you have your own store, and you want to stand out? Perhaps a beach flag is the right solution for you! The flag is usually oblong or drop-shaped and fitted with a tunnel (also known as a hem or pocket). Into this tunnel the mast is slid, so that the beach flag can stay upright and the flag is tightened. Through tightening the flag, the beach flag becomes clearly readable. The topside of most masts is flexible and bends during tensioning. Tightening the flag is done through the use of a fixing system. Our fixing system can be used with different settings, so your beach flag can always be tensioned correctly. The beach flag can receive different finishes. This creates variation in forms and shapes. A beach flag can, for example, be finished with a straight, slanted or round bottom. These models are often referred to as feather flags or swooper flags. There are variants in which the slanting continues until the end of the tunnel. This model beach flag is also known as a drop flag or teardrop flag. A beach flag always has one assembly point so that the flag can turn with the wind. Having the flag turn with the wind is important so that no extra stress is put on the mast due to wind force. The assembly point of a beach flag is always found at the bottom of the mast. The mast is usually slid over a pin or put in a holder. When using holders, it’s important that the mast is not fixed in one position. Always make sure that the flag can rotate around its own axis. If necessary, a rotator (loose, rotatable pin) can be put in a holder to prevent that the mast can be fixed in one position. Several different accessories are available which are fitted with a pin over which the mast can be slid. These accessories can be divided into three categories: assembly in the ground, assembly on the ground and fixed assembly. With assembly in the ground, you should think of a ground pin or ground drill. A cross foot is an example of assembly on the ground. 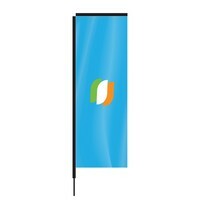 With fixed assembly, the beach flags are always in a fixed position because the support is fixed to a wall or pole. Depending on the situation in which your beach flag is going to be used you can make a choice from one of these categories. What does a beach flag cost? The price of a beach flag is dependant on several factors. There is no price difference between the different beach flag models. The costs of a beach flag are determined by its size, the number and the material used. The larger the beach flag, the more it will cost. Furthermore, a double-sided printed beach flag costs more than one with a single-sided print. Would you like a clear overview of all our prices? Then take a look at our price page. How do I order a beach flag? 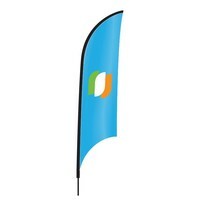 Composing and ordering a beach flag can be done quickly and easily on beachflags.com. 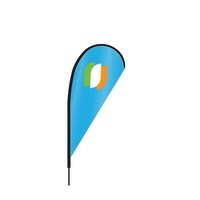 The online composing of a beach flag takes place on the product page. First, you should choose one of the beach flag models. Beachflags.com offers you 8 different models, each with its own form and characteristics. Next, choose the desired options, like size, print, direction and finish. Upload your files and add your flag to the shopping cart. Select any accessories you need to install your beach flag correctly. 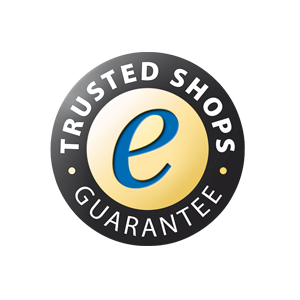 Add any other products you may need to your shopping cart and order your beach flags online safely. Beach flag or feather flag?